There is an Aboriginal tale that says that explains the evolution of the platypus. It's a pretty violent tale where a water rat (Bilargun) abducts a duck (Daroo) because he wants her to be his wife. Daroo has babies with a duck's bill and webbed feet, and a water rat's fur coat and a flat tail. According to the tale, their decendants are now known as the 'Platypus'. The platypus is a bit of an odd combination of features. It is a furry, warm-blooded, egg-laying mammal that also has some features of reptiles. They have the ability to do very quiet duck dives. This makes them a very unusual sort of animal. The largest platypus was found in Tasmania weighing 3 kg and 0.6 m in length. By chance I have discovered that this very special Australian animal that we always have to watch for ages at the Melbourne Zoo, has its own Australian Conservancy in Wiseleigh Victoria. The Australian Platypus Conservancy has a website with hints on spotting platypus and water rats in the wild. Platypus are most likely to be found in the late evening or early in the morning. 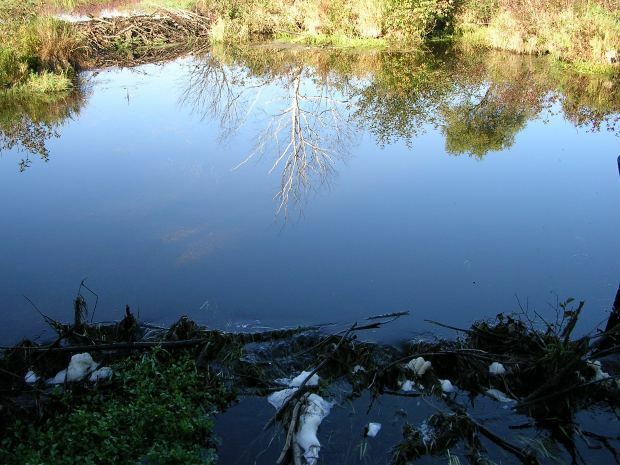 You can look for them in calm water such as dams, lakes, rivers, creeks, irrigation channels and billabongs. It's rare to find them in salty water. I've patiently tried to find platypus in various locations without much success. There are other animals that can be mistaken as a platypus such as ducks, tortoises, large fish and water birds. If you do sight a platypus the Australian Platypus Conservancy will ask you to record your name, contact details, date of the sighting, the location and GPS map reference if possible, any comments about the animal, its behaviour or situation. 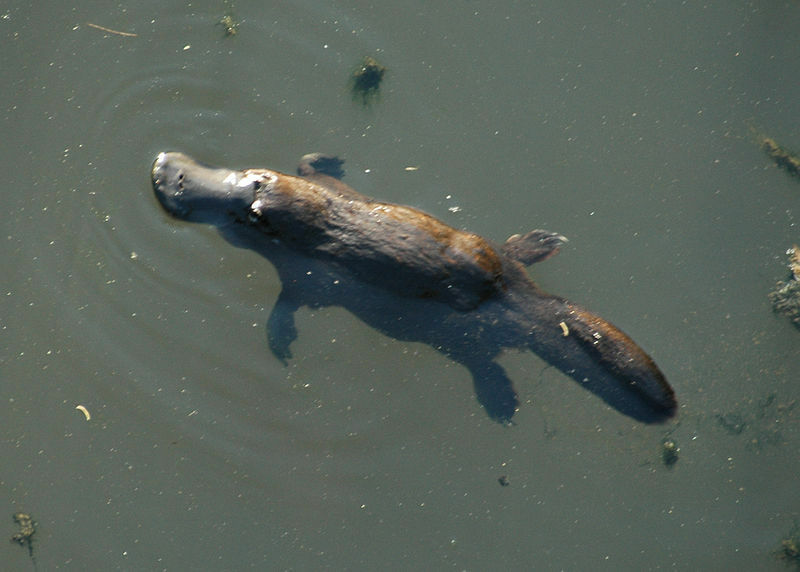 An online platypus sighting report is available on the website. 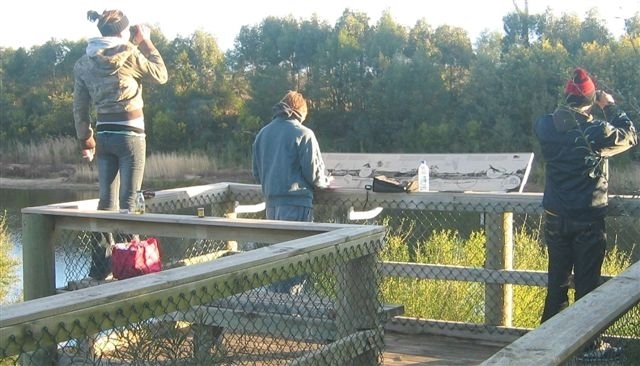 Volunteers are used to monitor the platypus and will be provided with a full information kit. Even if you are only able to participate in collecting survey data once a year, volunteers are welcome. I think this would make a great family event. It would certainly be different from other activities you might try on the weekend. Have been asked about sightings of Rakali in Hamilton. There are a number living near our home in the wetland on Rippon Road in Hamilton Victoria. We see one that is very quiet and comes into our yard and up the water drain. Unfortunately one was run over in our vicinity yesterday. We believe people have sighted them in the reeds on the other side near the boat shed. You can spot them in Little Yabba Ck, Imbil, or the creek beside the Woolies right in Maleny, or cave ck, numinbah, or Neurum ck bush retreat in 'Platypus pool". Have to stay quiet & wait.